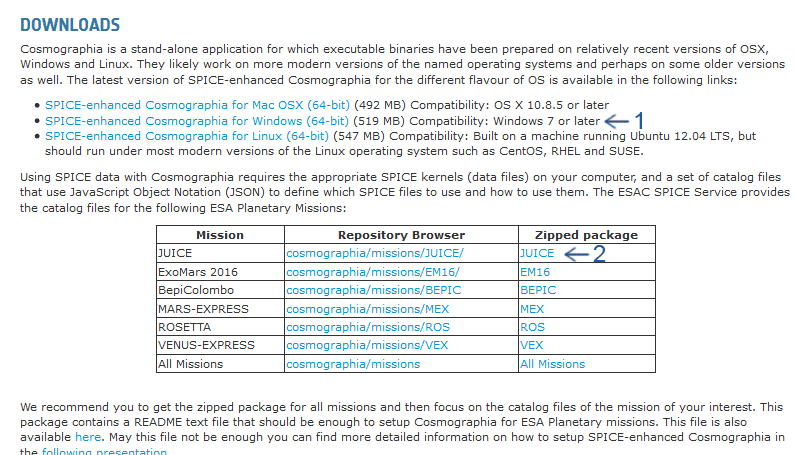 Setting up Cosmographia to run SPICE data is relatively simple, however poorly documented process. This visual guide is designed to make it as simple as plain and obvious, hopefully opening ESA’s SPICE data to wider audience, not just Industry professionals. Therefore this guide will be following an installation on Windows. Keep in mind that SPICE kernels are very large, at the time of writing this tutorial kernels for JUICE were 1.82 GB in total. SPICE Kernels are available to download under a public FTP server. All you have to do is copy & paste URL to the SPICE repository into your FTP client (for JUICE it’s ftp://spiftp.esac.esa.int/data/SPICE/JUICE/kernels). Download files into C:\SPICEkernels\2017\ – that’s the directory we’ll use further down in this tutorial. Below you can find screenshots of the whole operation. Copy link location to the JUICE SPICE repository (it’s ftp://spiftp.esac.esa.int/data/SPICE/JUICE/kernels), run FileZilla, paste the link into Host window, click Quickconnect. Once connection is established in a left field open C:\SPICEkernels\2017\, select all directories from the right window, drag & drop them to the left side, and wait until everything is downloaded. Once all the files are downloaded we can begin with installation of Cosmographia. Run cosmo-installer-3.0-windows.exe and install the application. You do not need any Extras, so leave these unchecked during the setup. Don’t run Cosmographia once installation is completed. 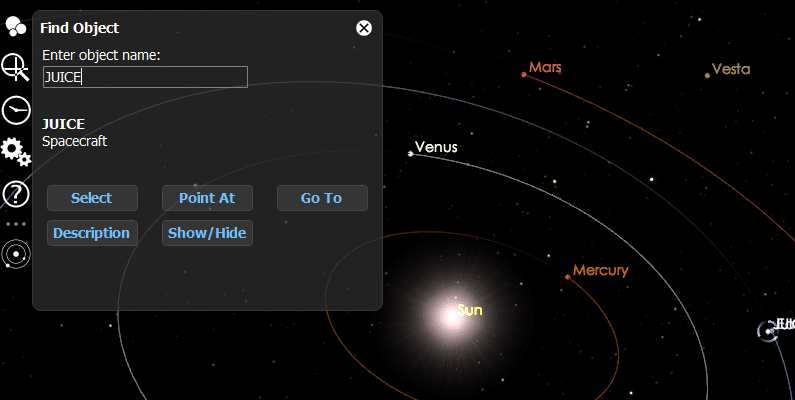 Go to C:\SPICEkernels\Cosmographia\scenarios\ and open file load_JUICE_crema_3_1_001.json – that’s the most basic scenario which shows JUICE flying through the solar system and then around the Moons of Jupiter. If you cannot find JUICE, use search function. Click white loupe icon in a left-hand menu, type in “JUICE”, and press “Go To” button. 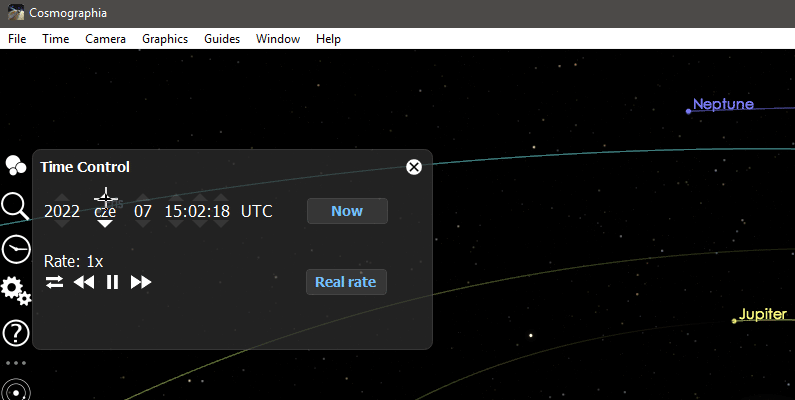 You’ll be automatically navigated to the spacecraft and zoomed in (to better find spacecraft location in the solar system you’ll have to outzoom quite a bit). 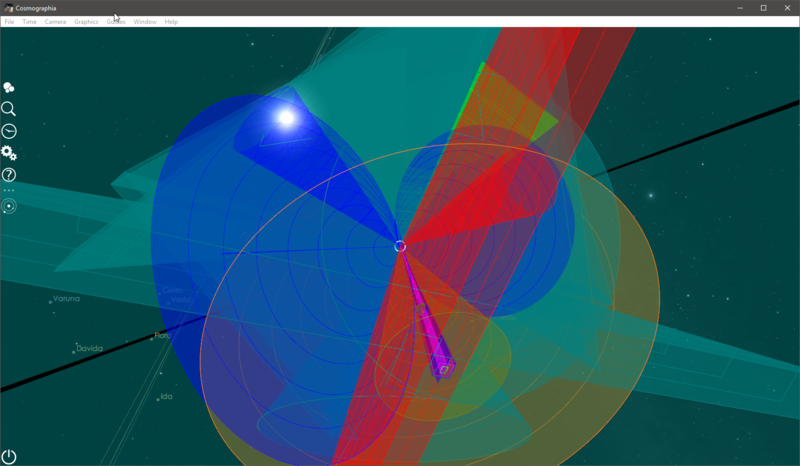 You are now ready to play with solar system simulation that will display the entire span of the mission. 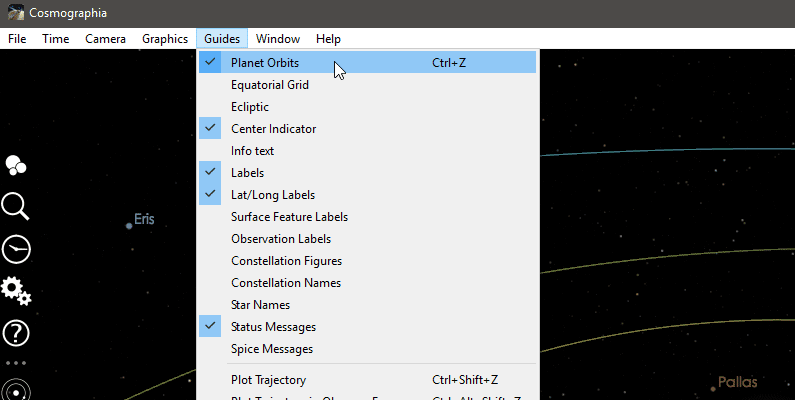 Keep in mind that over time both: SPICE data and JSON files will be updated by ESA as they plan new observations and make these visualizations available to public. 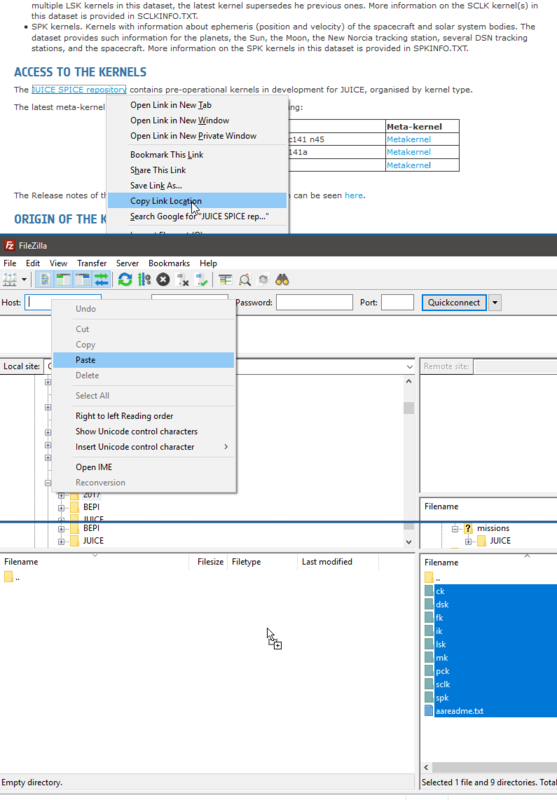 PATH_VALUES inside of the indicated .tm file is not pointing to the directory that contains SPICE data. Error Item ‘JUICE_SWI’: Unknown instrument ‘JUICE_SWI’ for SPICE Sensor.